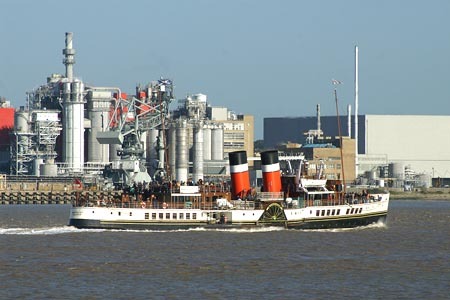 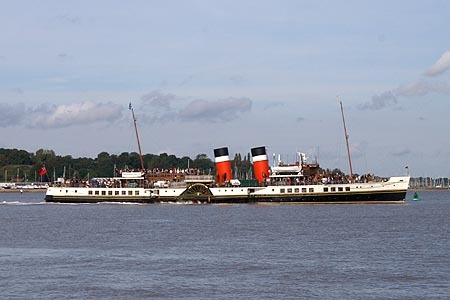 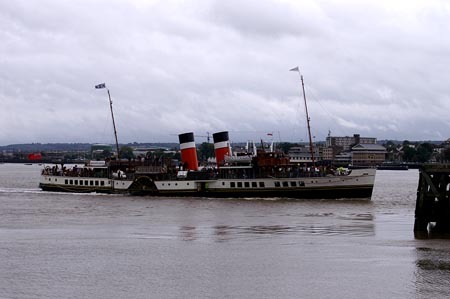 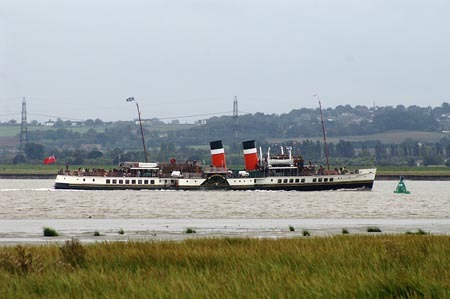 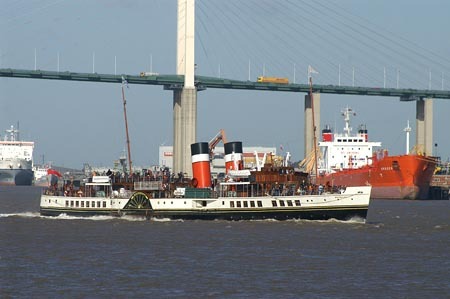 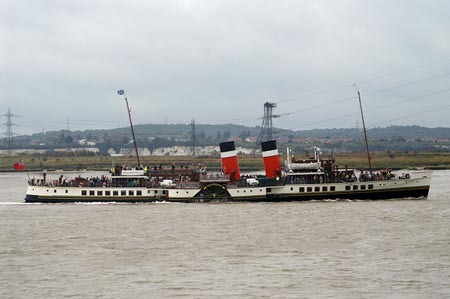 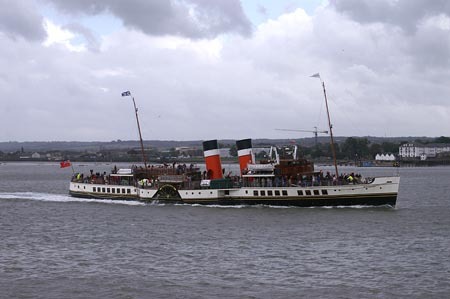 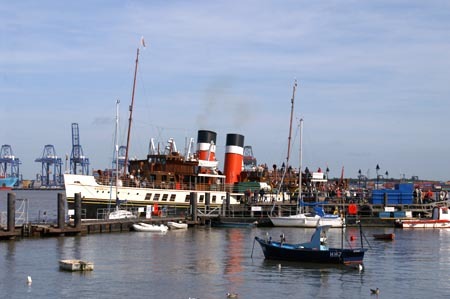 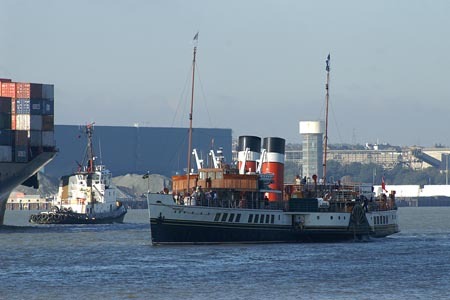 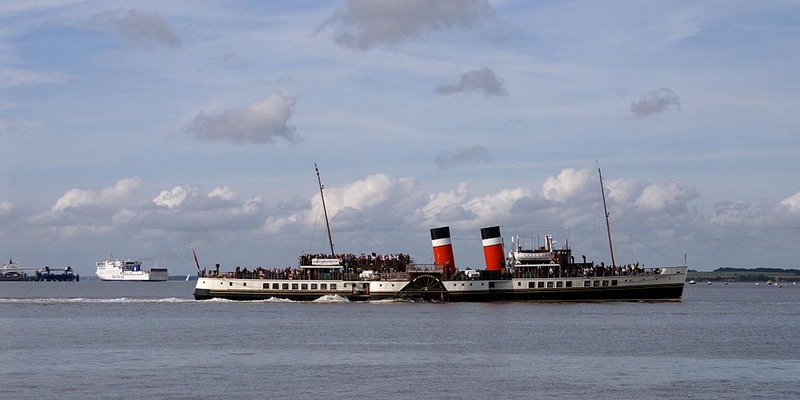 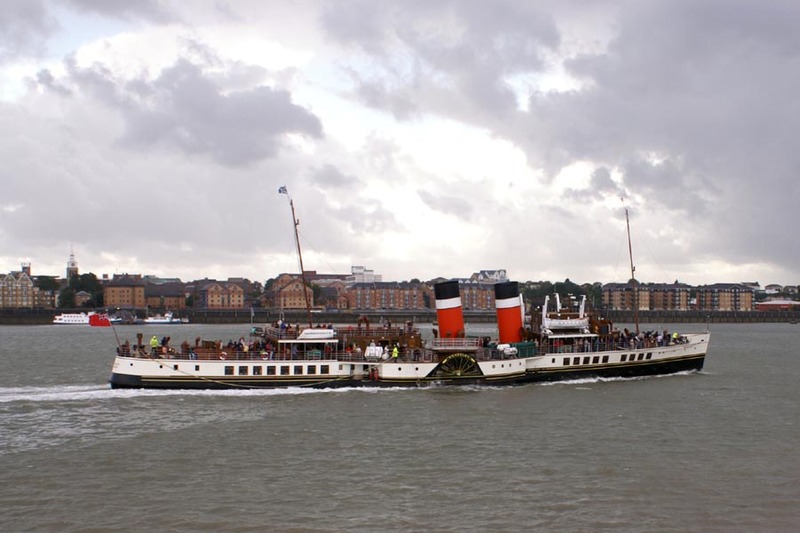 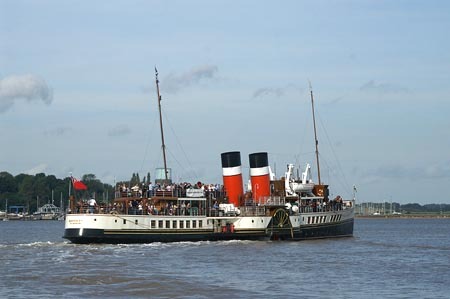 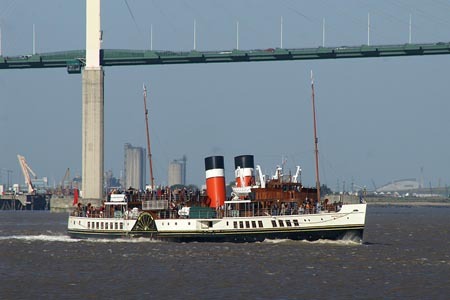 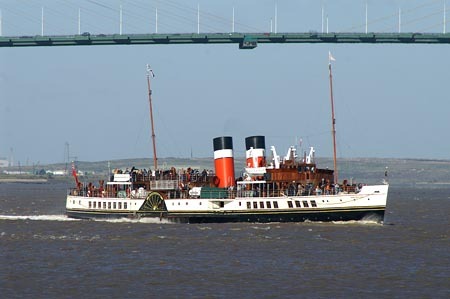 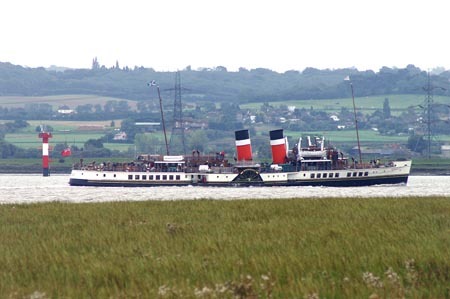 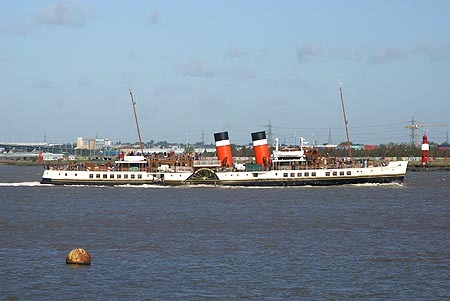 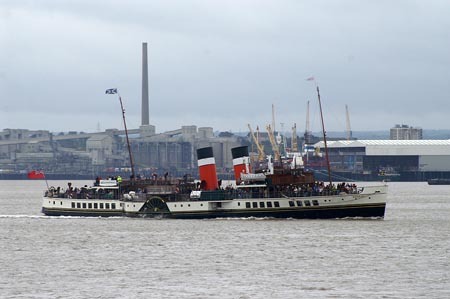 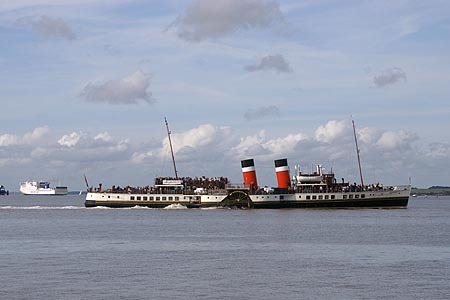 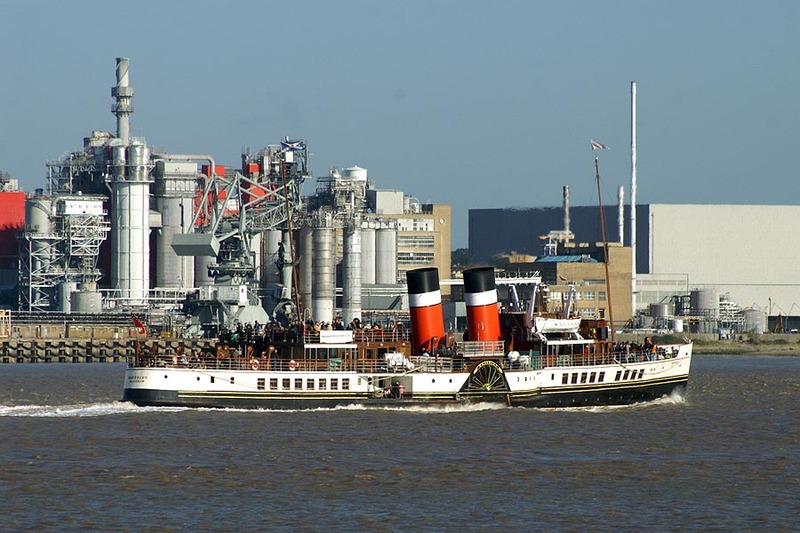 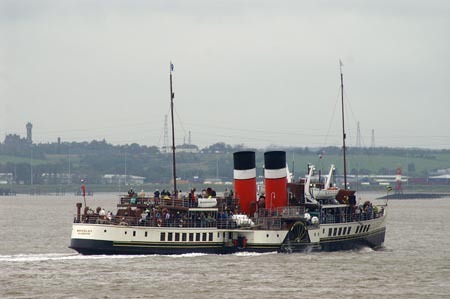 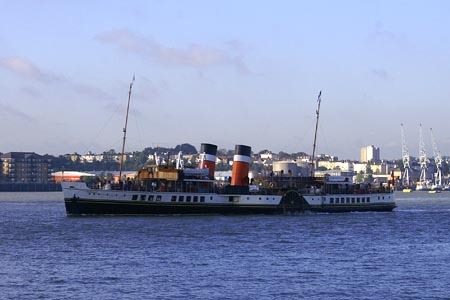 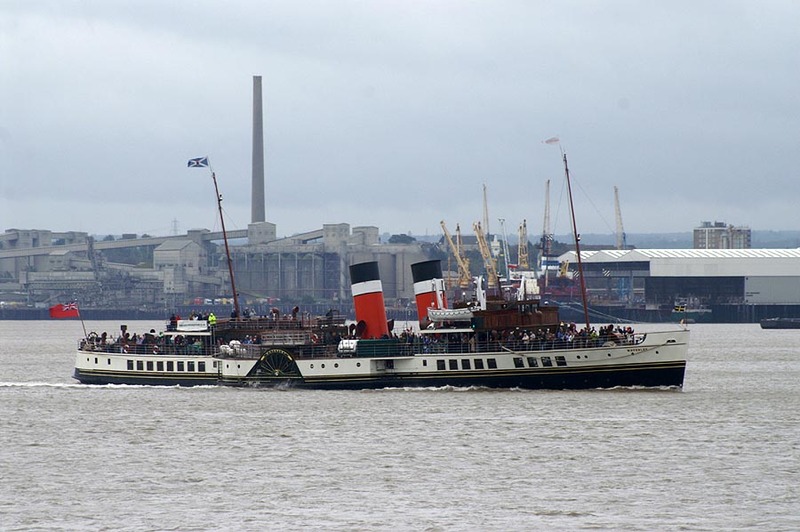 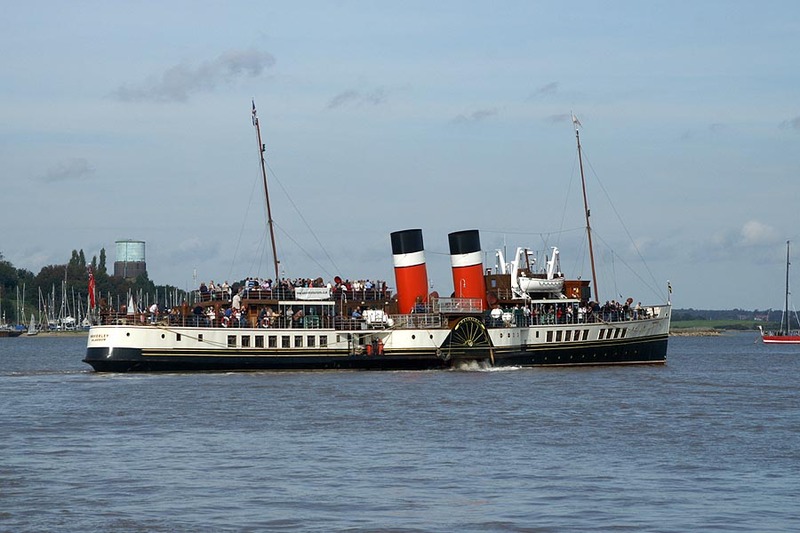 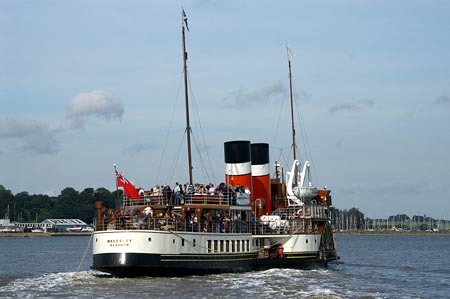 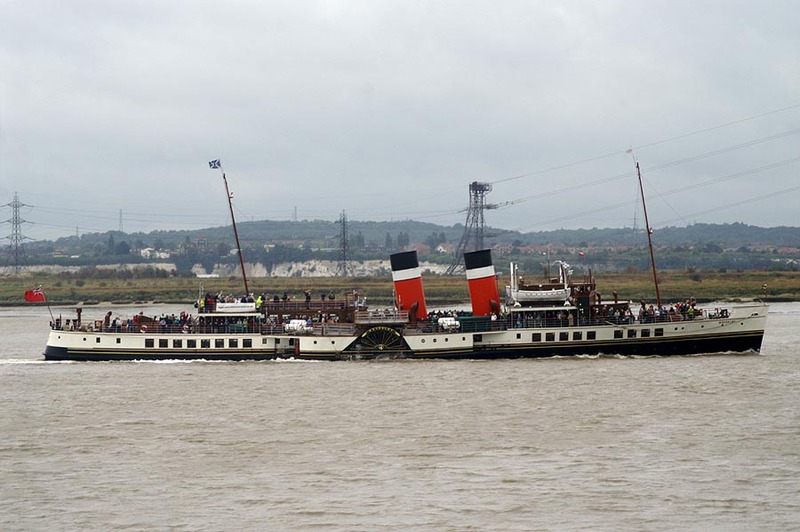 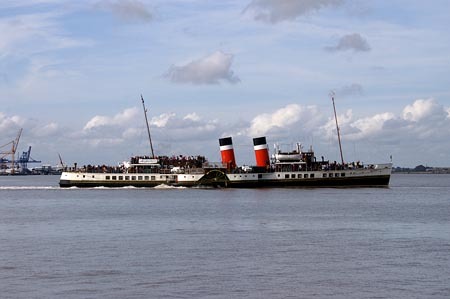 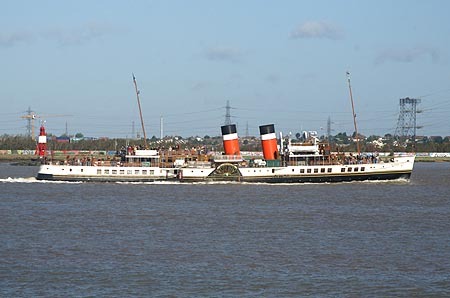 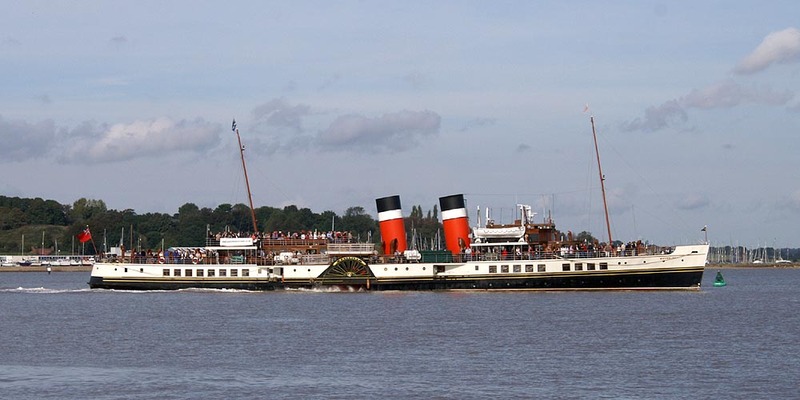 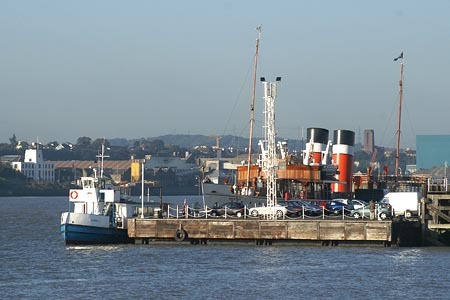 This page is one of a series devoted to photographs taken on the Thames in 2006 of the preserved paddle steamer Waverley. 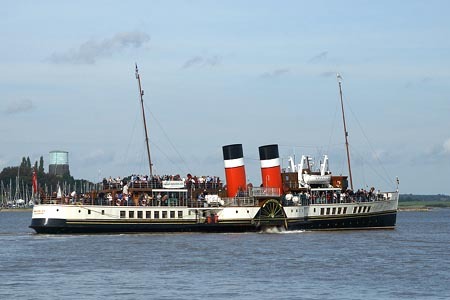 This page shows images of Waverley during the second week of her period on the Thames, in October. Waverley Photographs - 2006: River Thames 2: October - this page! 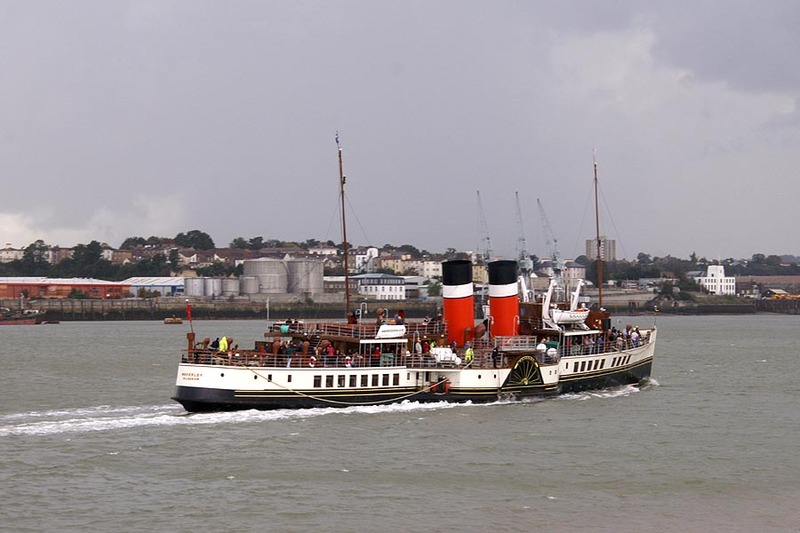 On Sunday 1st October, Waverley sailed from Tower Pier direct to Southend and then did a return via Tilbury to Tower Pier and back. I photographed Waverley arriving at Tilbury from Southend from Tilbury Fort. 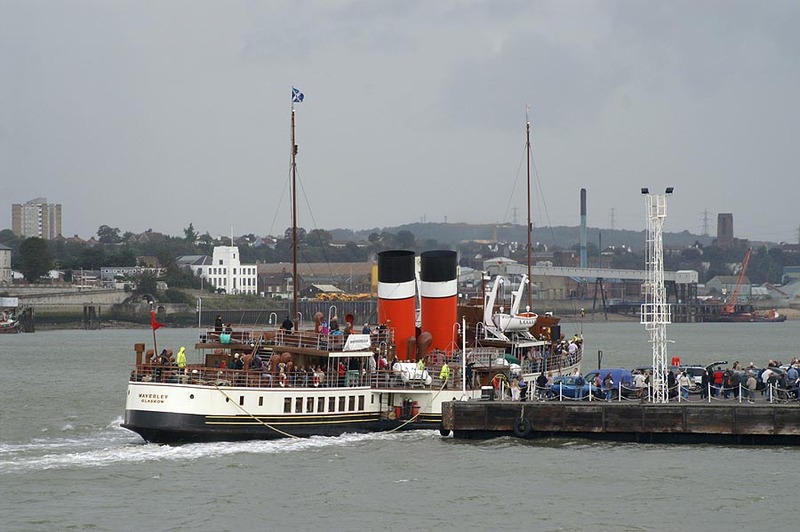 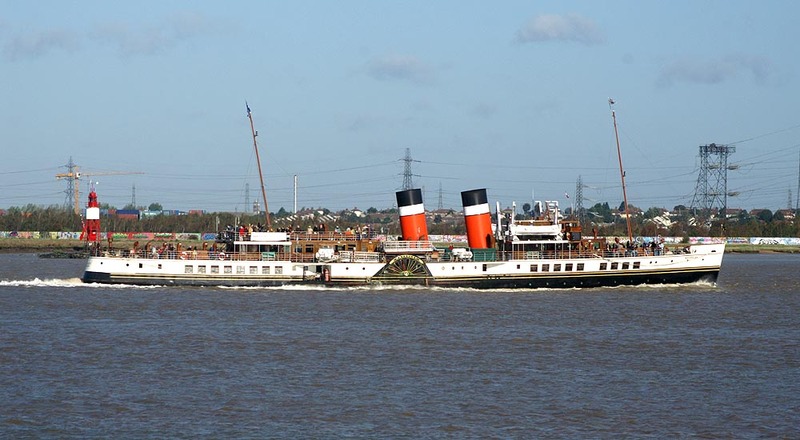 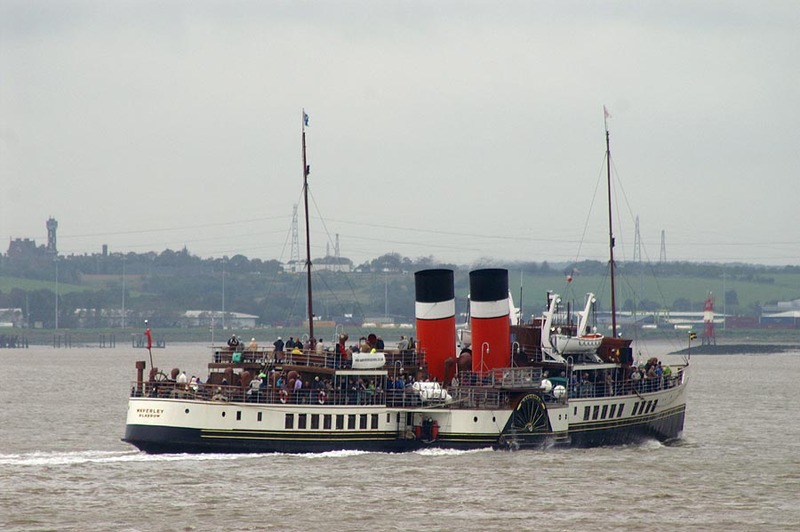 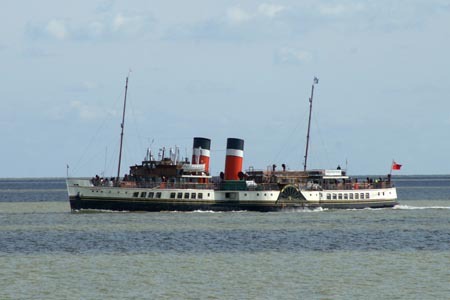 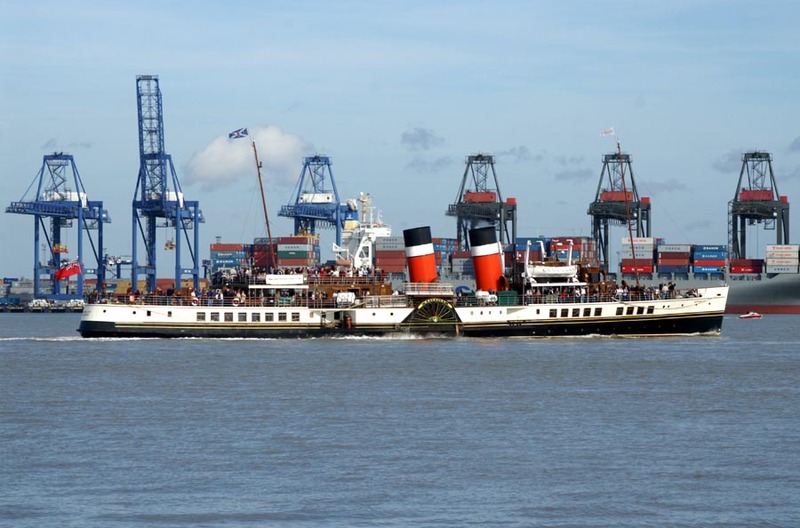 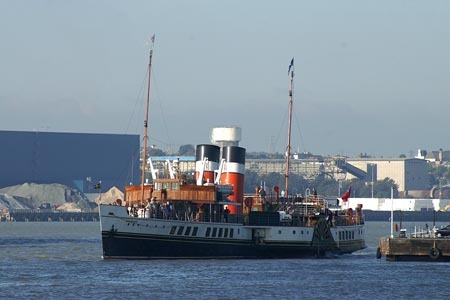 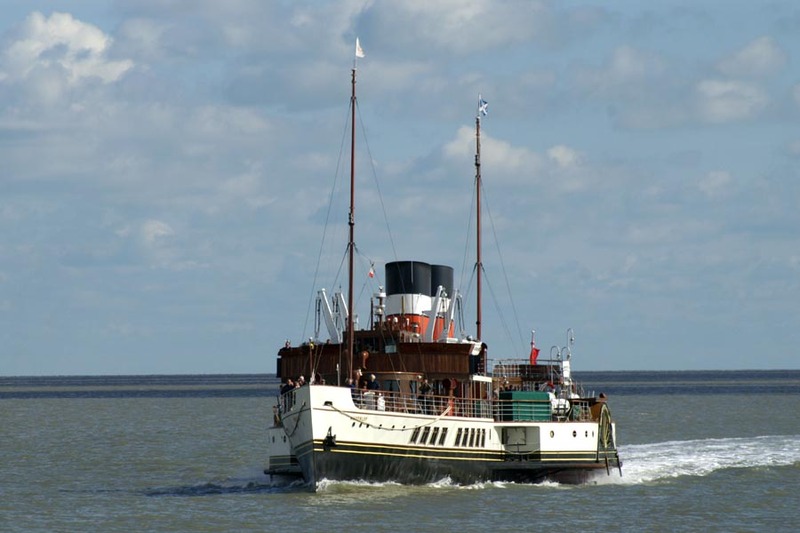 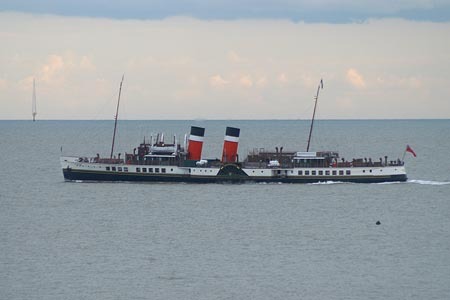 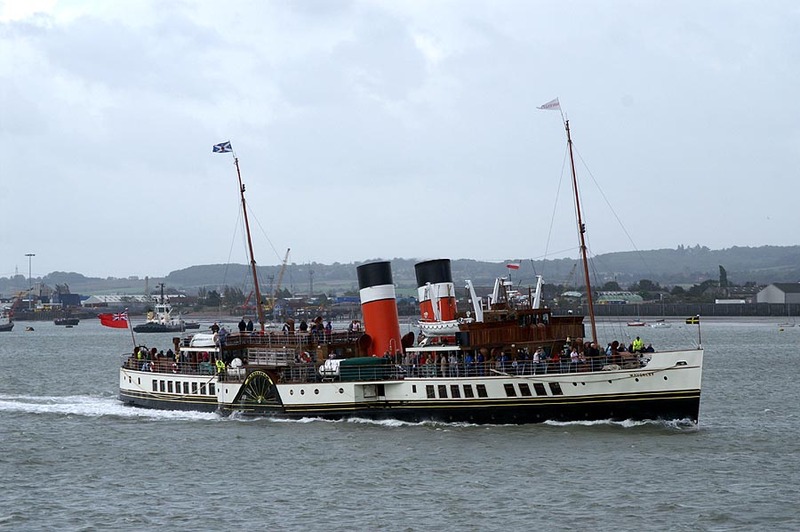 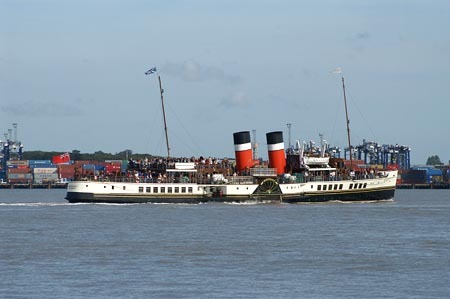 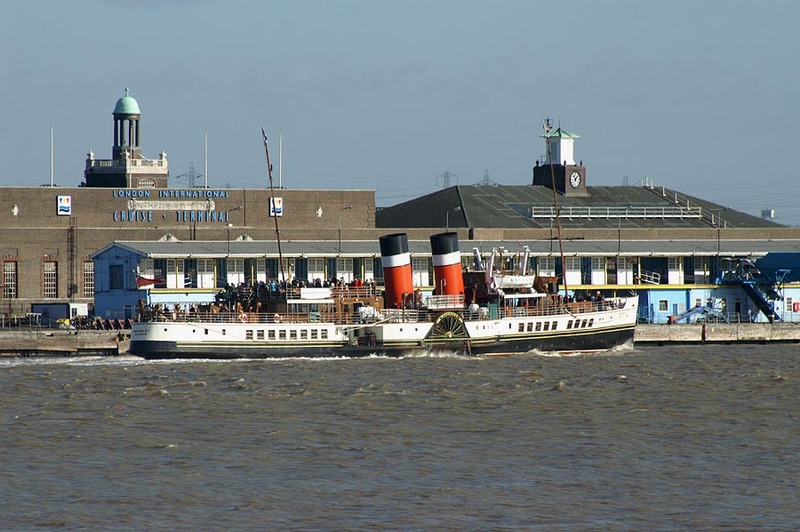 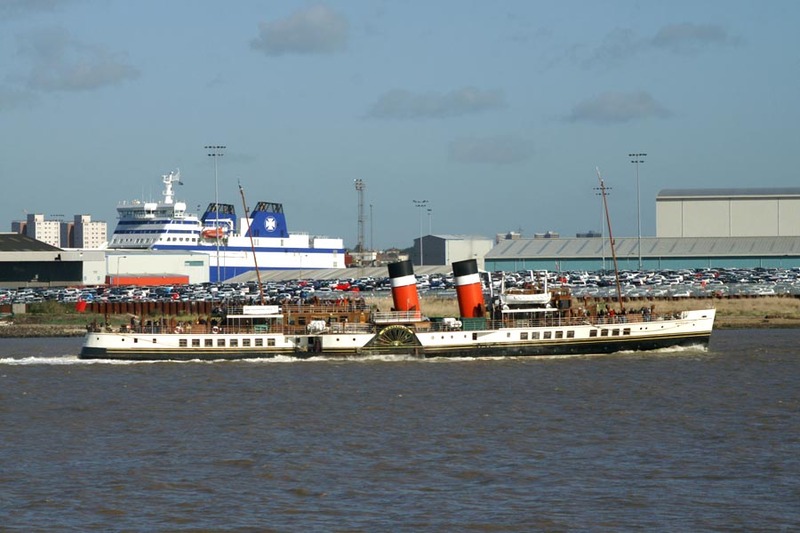 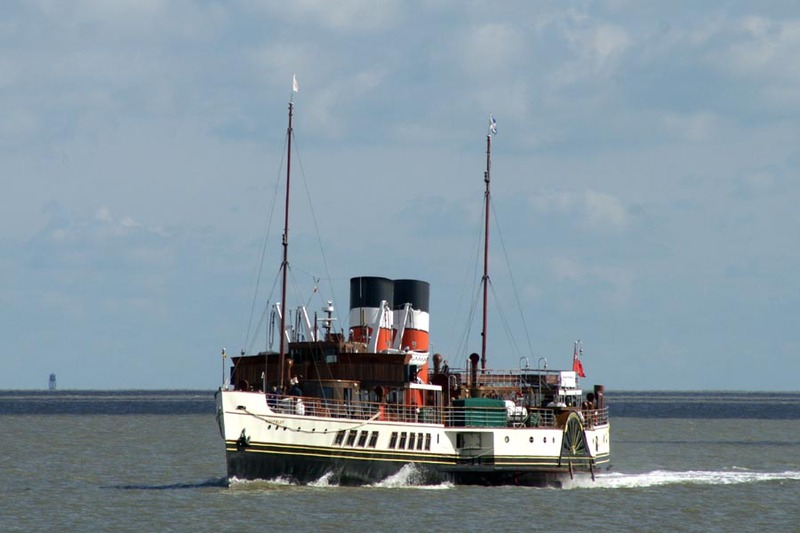 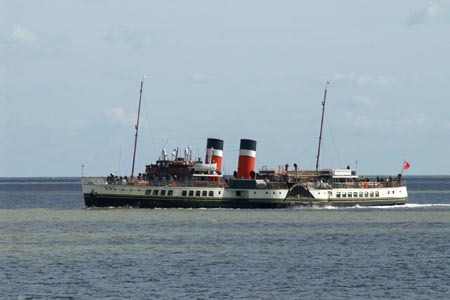 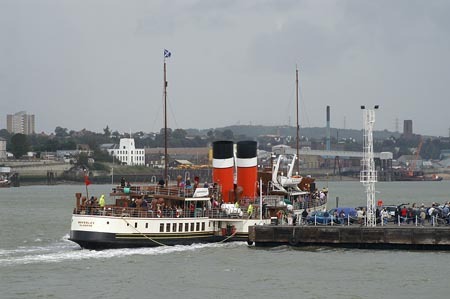 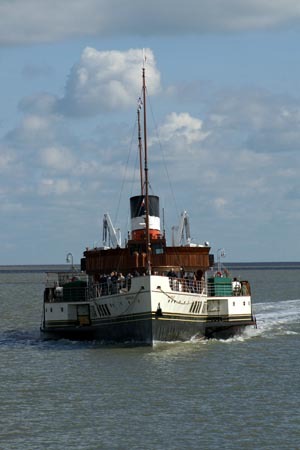 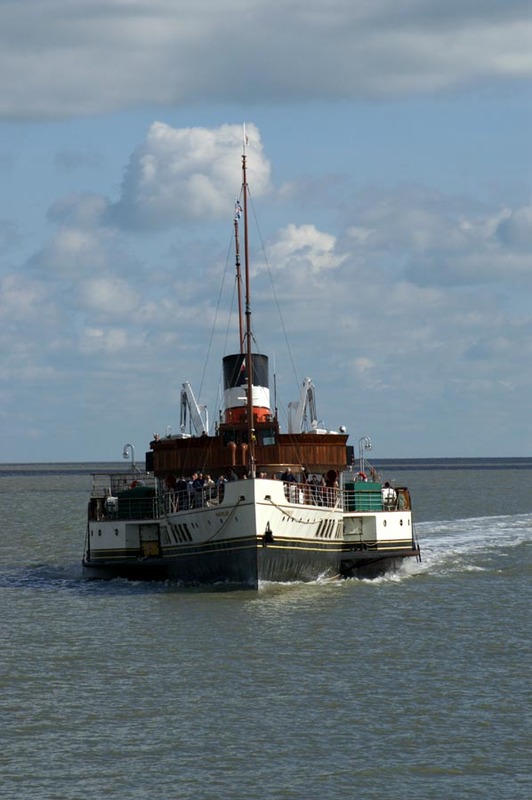 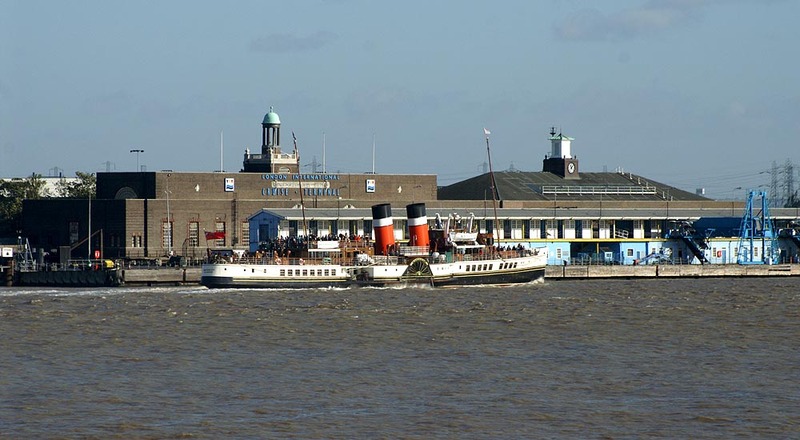 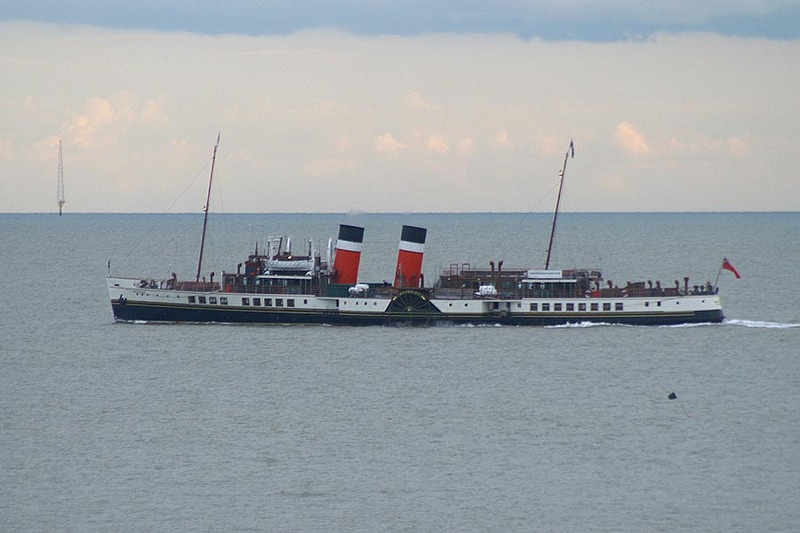 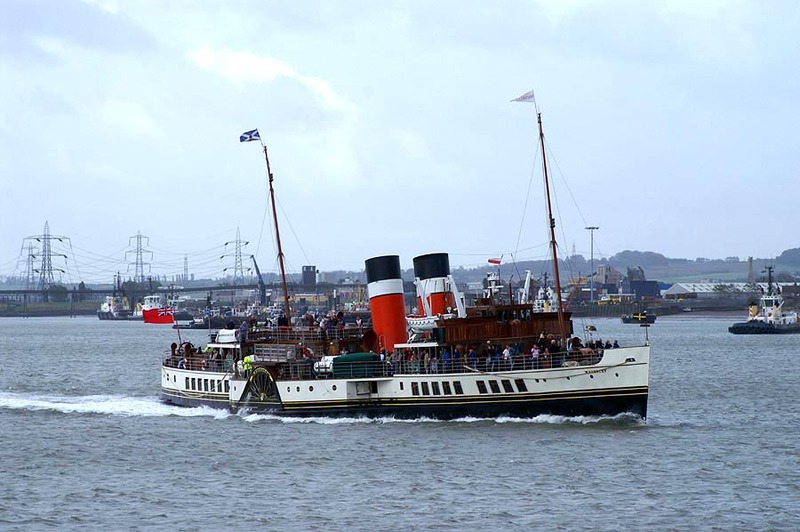 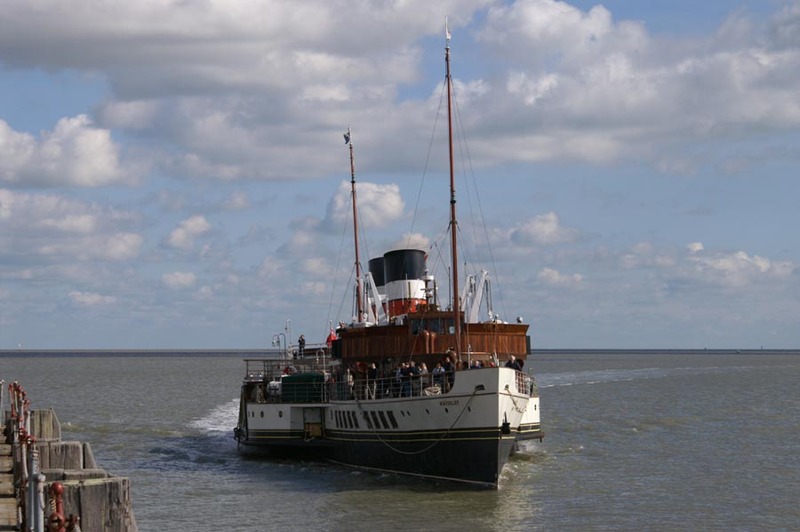 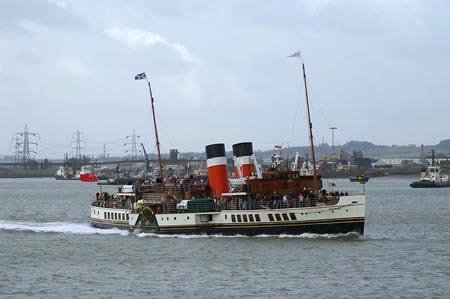 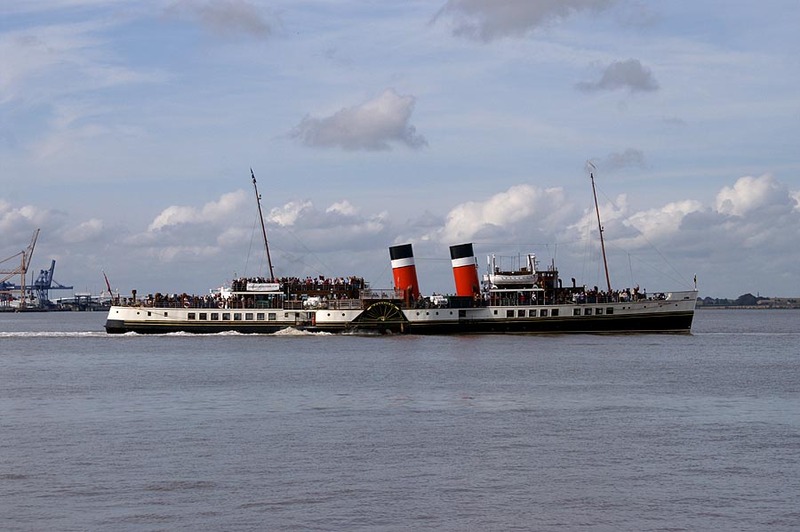 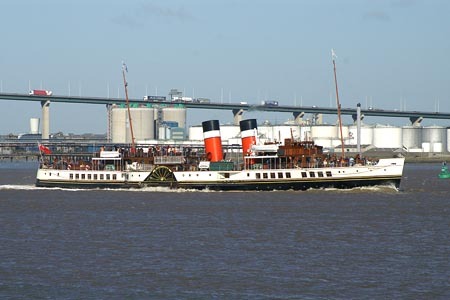 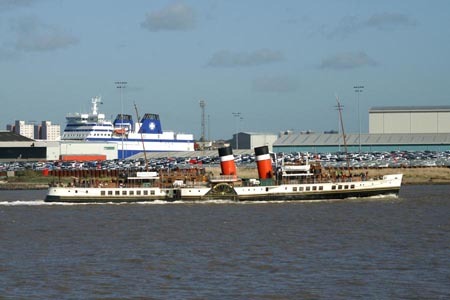 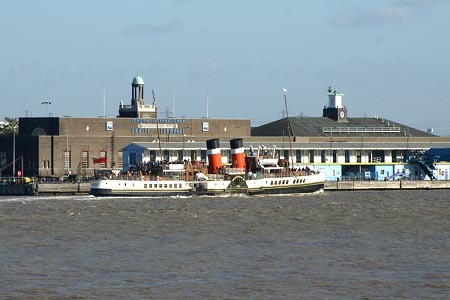 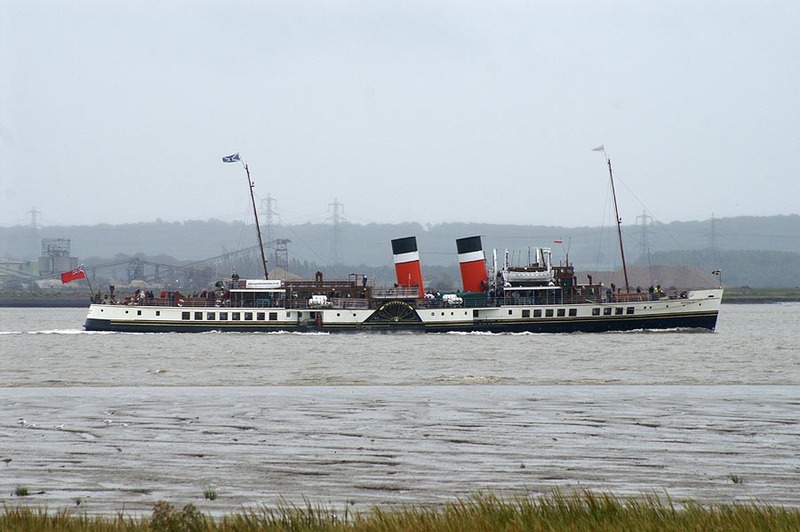 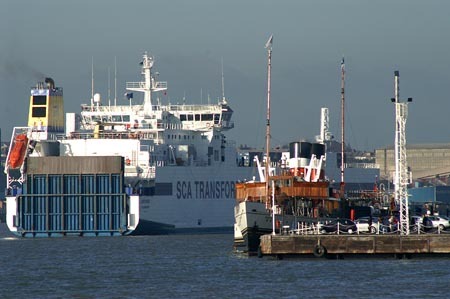 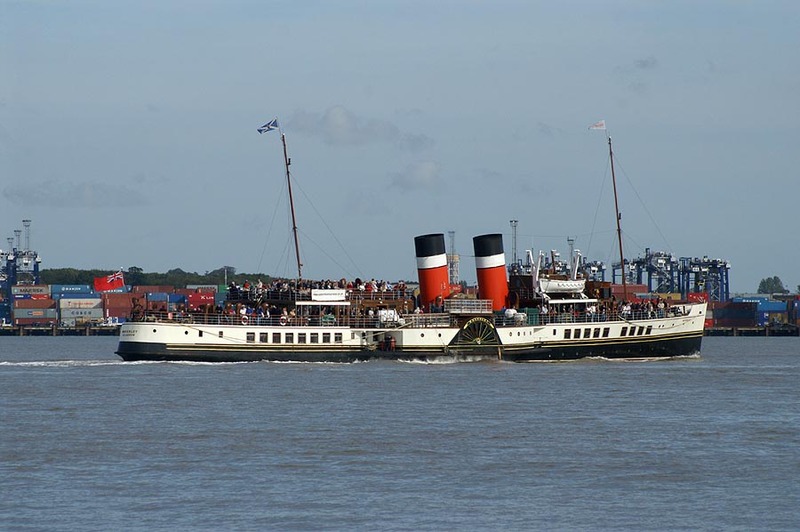 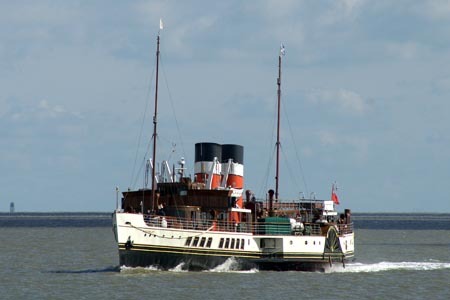 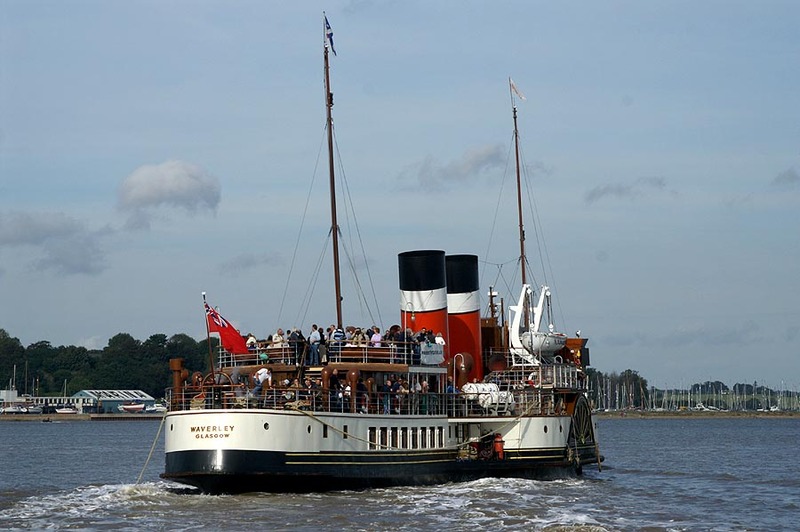 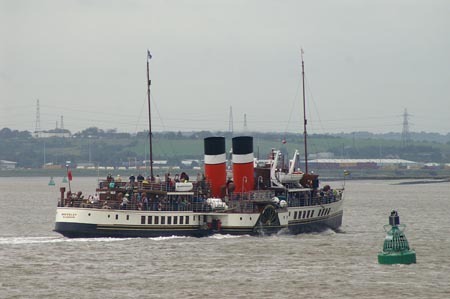 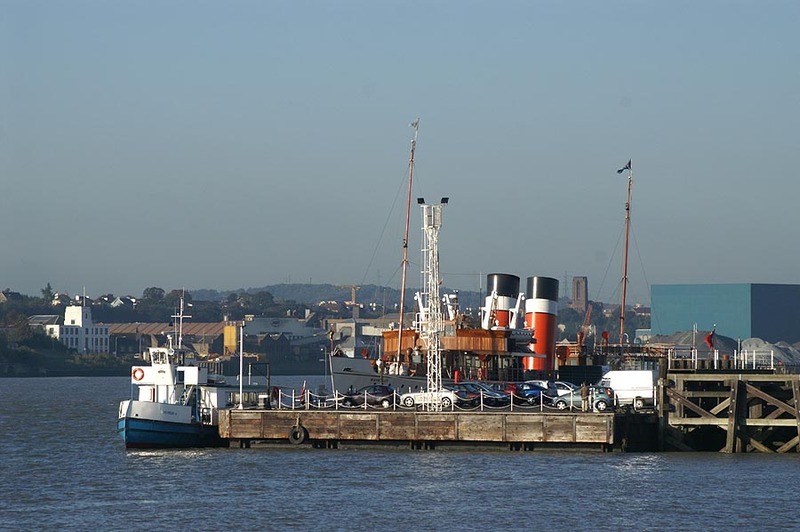 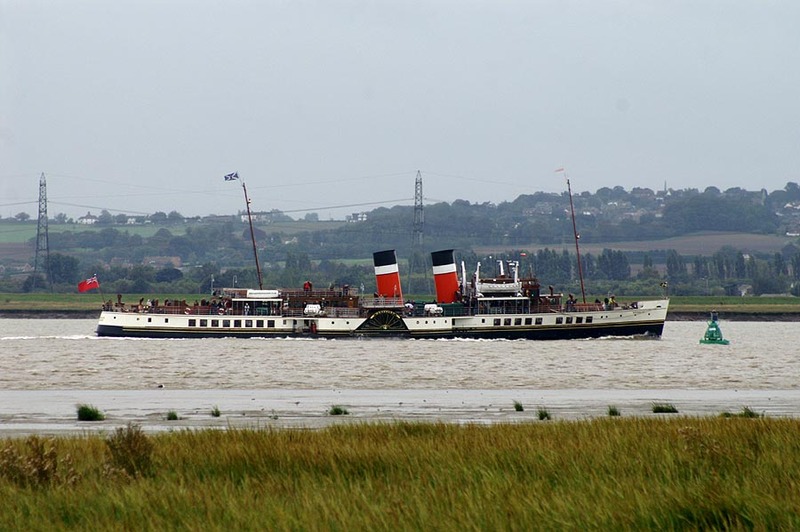 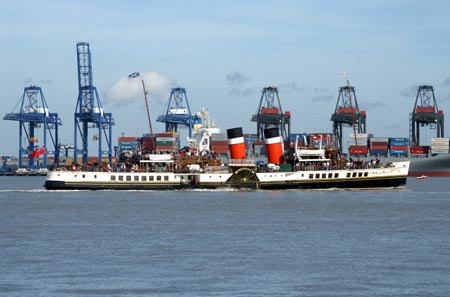 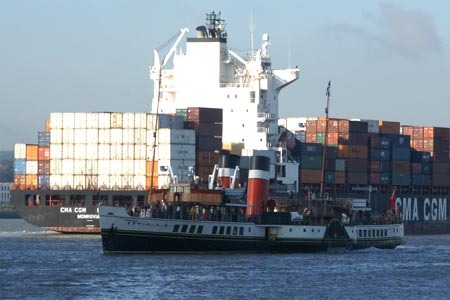 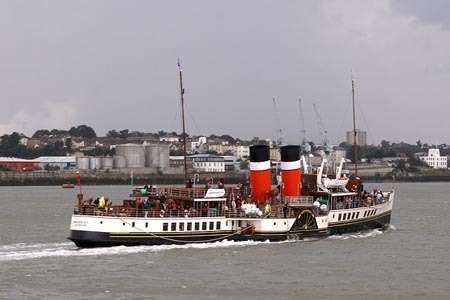 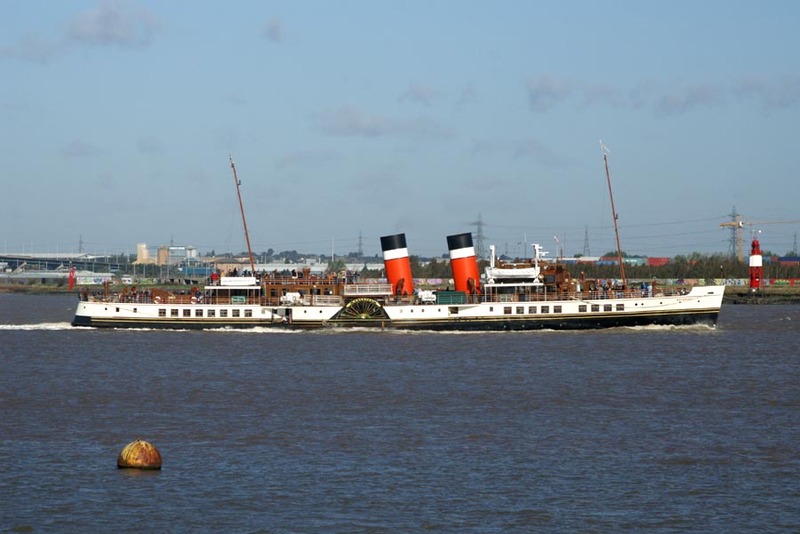 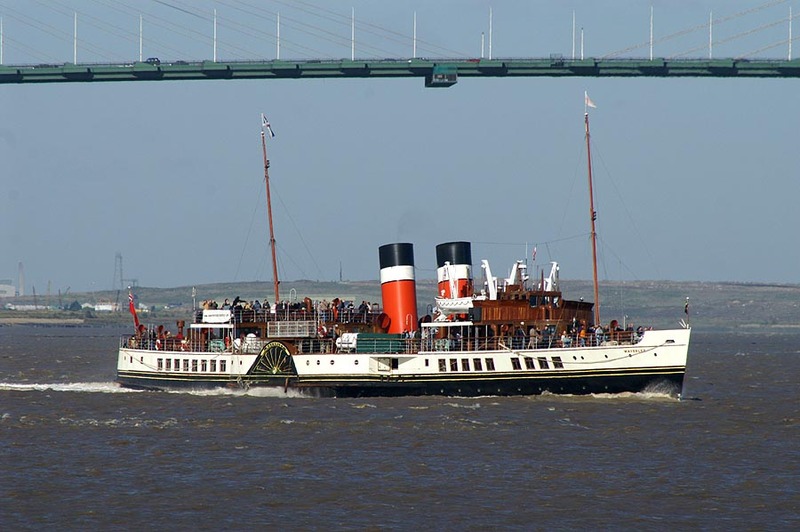 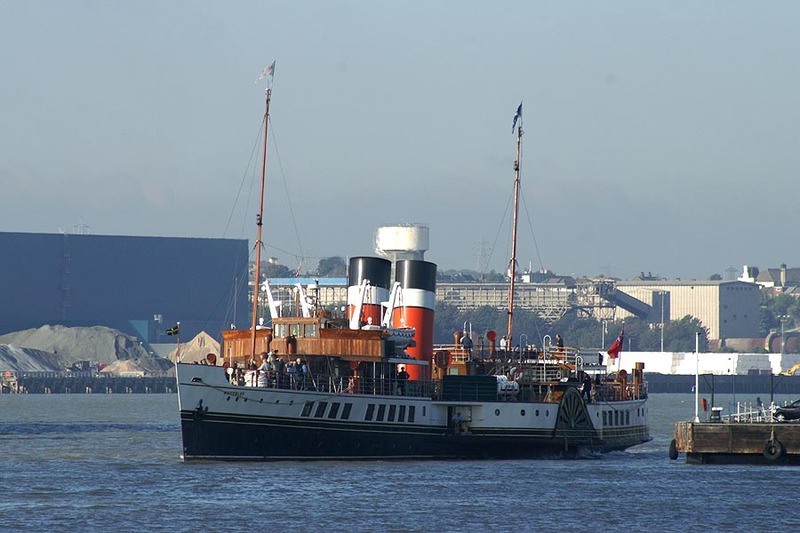 Waverley had no public sailing on Monday 2nd October, but sailed from Tilbury to Clacton on Tuesady 3rd October. 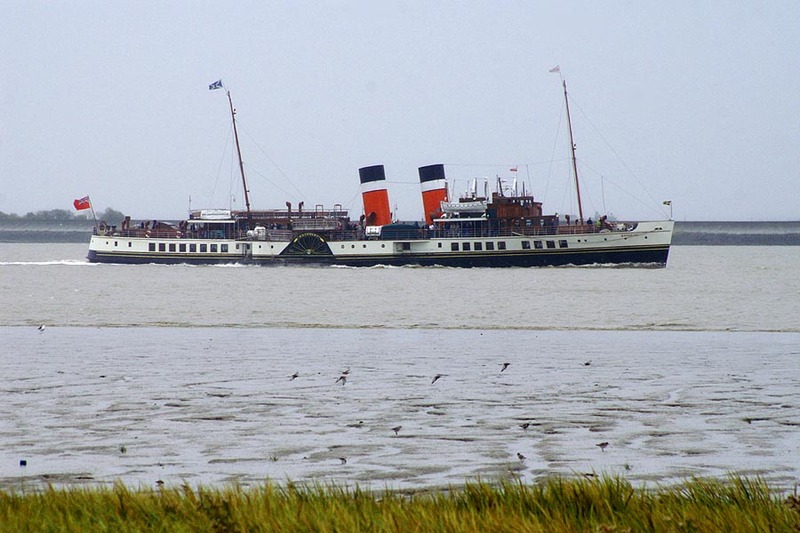 I photographed Waverley leaving Tilbury in the morning from the World's End public house, then drove to Clacton to see her arrive. 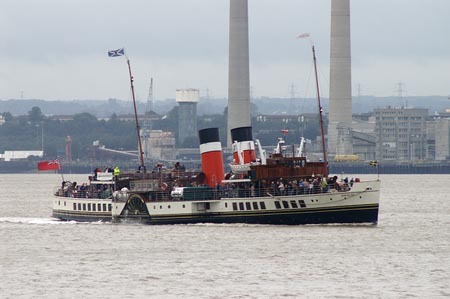 I then travelled on the afternoon Blackwater cruise. 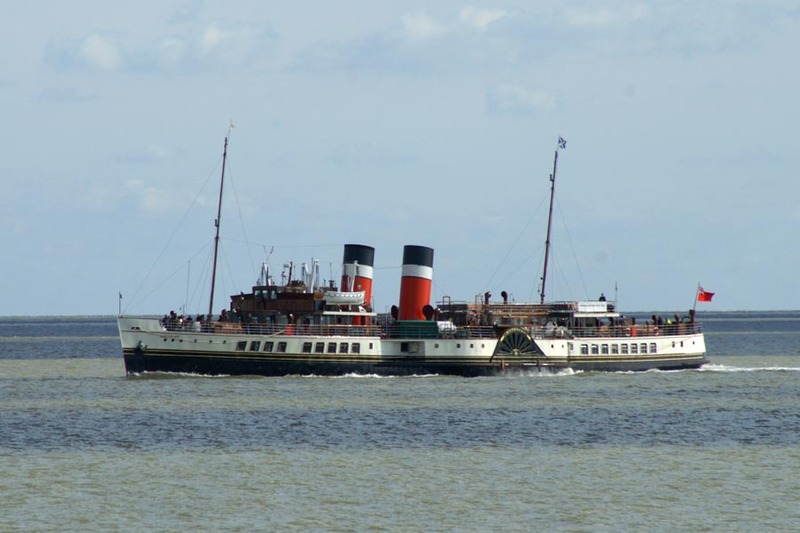 Waverley sailed from Southwold to Tower Pier on Wednesday 4th October. Despite being keen to photograph her at Southwold, a poor weather forecast convinced me not to get up before dawn to drive to drive up. 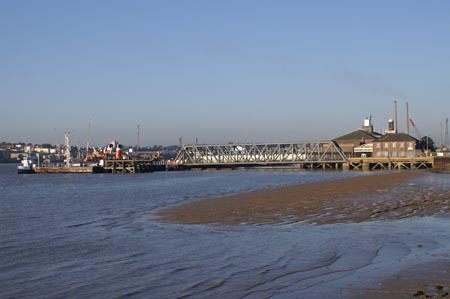 Likewise I did not go to Margate as I had planned, although the morning of Thursday 5th October started quite bright in Essex at least. 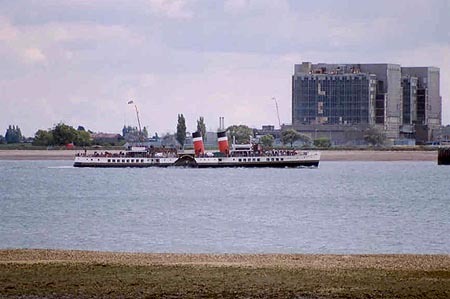 Waverley sailed from Margate to Whitstable, Southend, Tilbury and Tower Pier, and I returned to Coalhouse Point to see her pass. 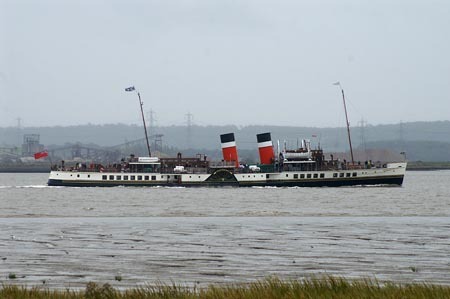 The weather deteriorated considerably before her arrival, but the rain lessened slightly as she passed. 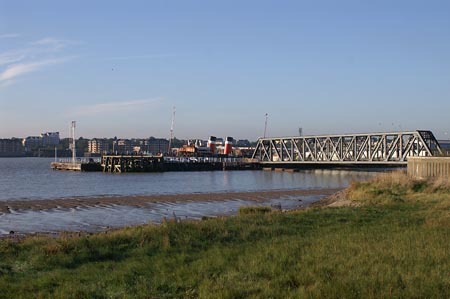 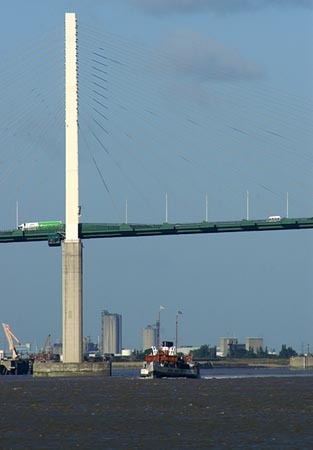 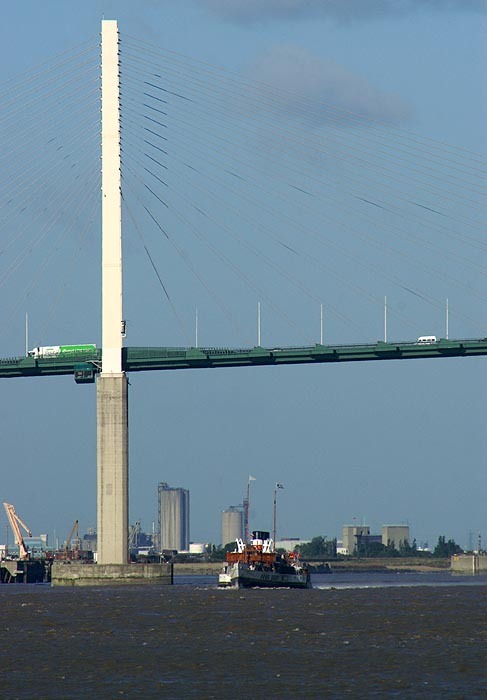 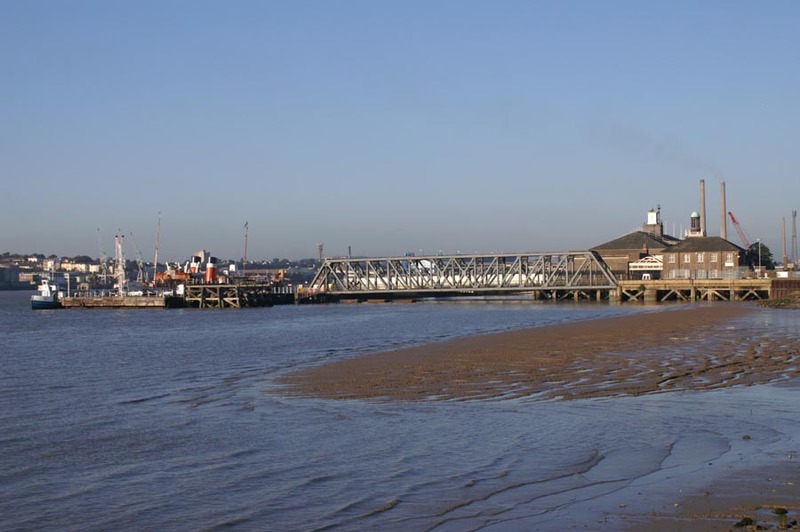 I then chased her to Tilbury Riverside and Grays Beach. 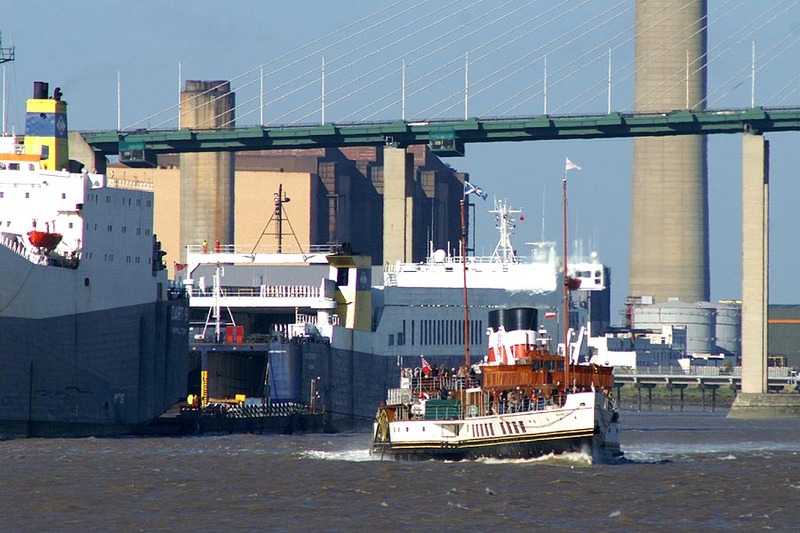 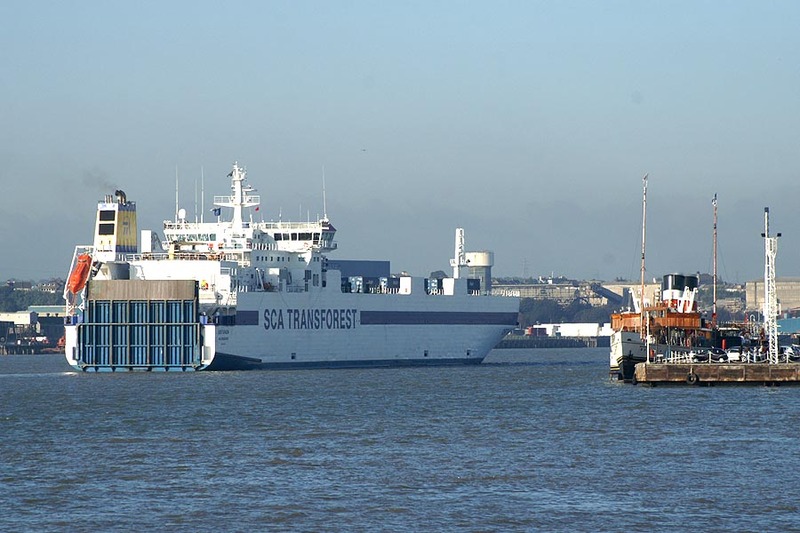 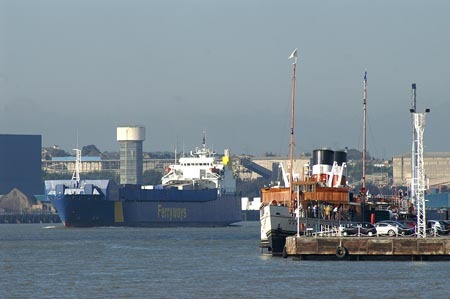 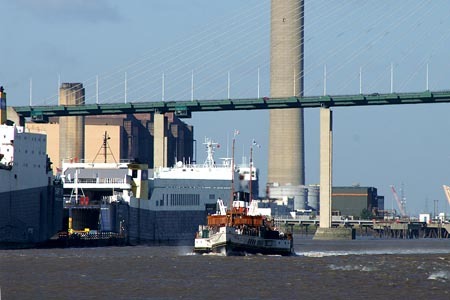 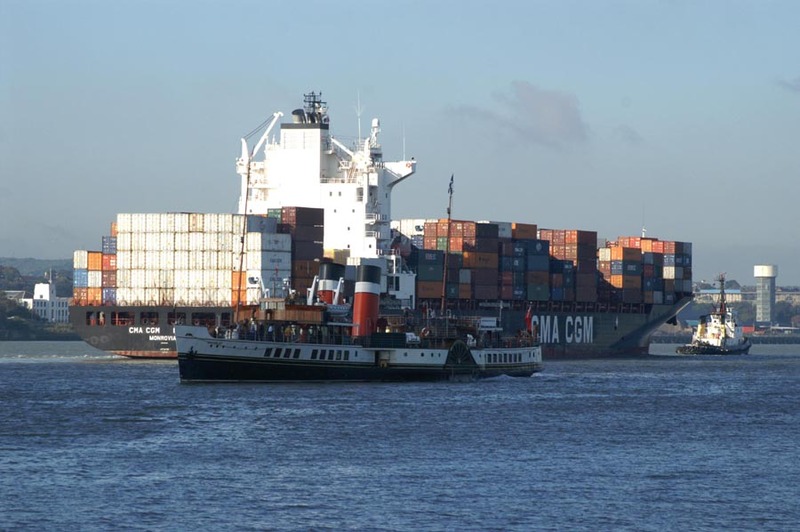 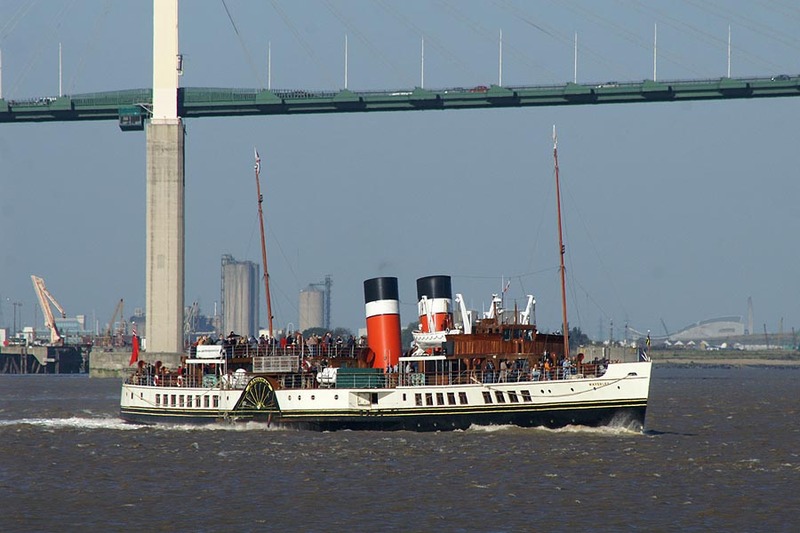 Waverley's last trip on the Thames was from Harwich on Sunday 8th October, when she sailed to Tower Pier via Clacton and Tilbury, with a return as far as Tilbury. 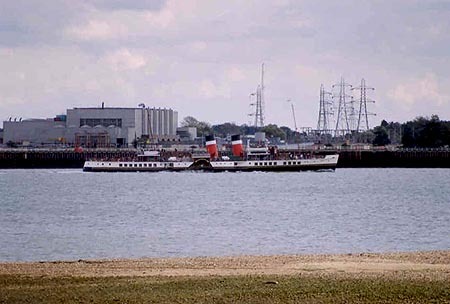 Ipswich passengers were also bussed to Harwich. 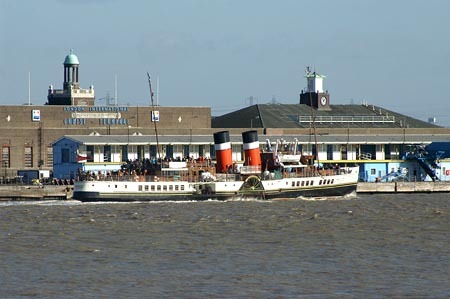 I photographed her leaving Harwich on another glorious morning.